Took advantage of the opportunity afforded by being at my parents’ place for Thanksgiving to discuss the situation with my dad, and to roll the car out of the garage for a bit. It’s the first time the car’s been moved in several years, and I was shocked the rear drums weren’t rusted solid, having left the parking brake engaged. We did have to put some air in a couple of the tires, and we couldn’t find the key, so the steering locked, preventing the car from being rolled out farther. But it was still nice to get a gander at the whole thing. As mentioned, I did have a chance to “unburden” myself to my dad regarding the hopelessness of being able to give the car a thorough restoration on our family budget, and was genuinely surprised when he half-floated the idea of “sponsoring” a restoration provided I do all the grunt work—which I’m more than willing and able to do—and manage the project in general. The extent of his involvement will be clarified going forward, but knowing my dad and his connection to the car, I’m fairly certain he’ll want to be involved in some capacity. The upshot is that the Z is going to be taking up residence in its new home here within the next two or three weeks, at which point I’ll carefully develop a game plan and start tearing into it. 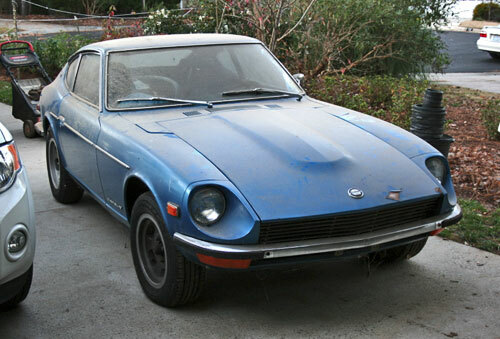 One of the slight deviations from my “full restoration fantasy” is that certain wish-list items, like a 5-speed, disc brakes or a 2.8l bore-out (if even possible) are going to have to wait. The focus will be the body and interior, along with restoring the engine, suspension and driveline to fully-operational condition. I would, however, like to add two things in the process of bringing the car back from its current state: Headers and a full exhaust, and an air dam. Everything else can wait, and be added later. At this point, after having owned the car for 10 years, I’m just eager to see the process move forward. Wish us luck! I’m pure jealous of the cars you have/had! 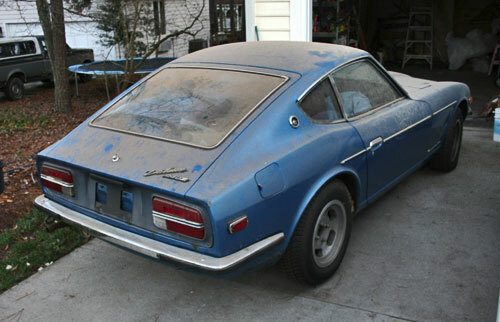 a 240z… what a car… there is a picture of a ratrodded 240z on speedhunters.com, you should check it out for inspiration… obviously i wouldn’t actually let it rust. 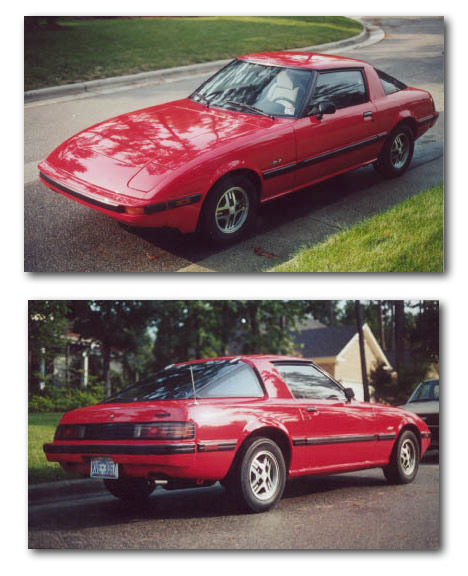 and that old rx7 you used to/nearly had… proper jealous… I want one now. Thanks Eoin! The Z is a bit of disaster at the moment, but I’m optimistic it can be brought back. I miss it a lot. Fantastic cars.